As Groceteria.com moves into 2019, when the site celebrates its twentieth anniversary, I’m pondering (as always) the next steps toward what the site will be like in the future. Feedback is much appreciated. 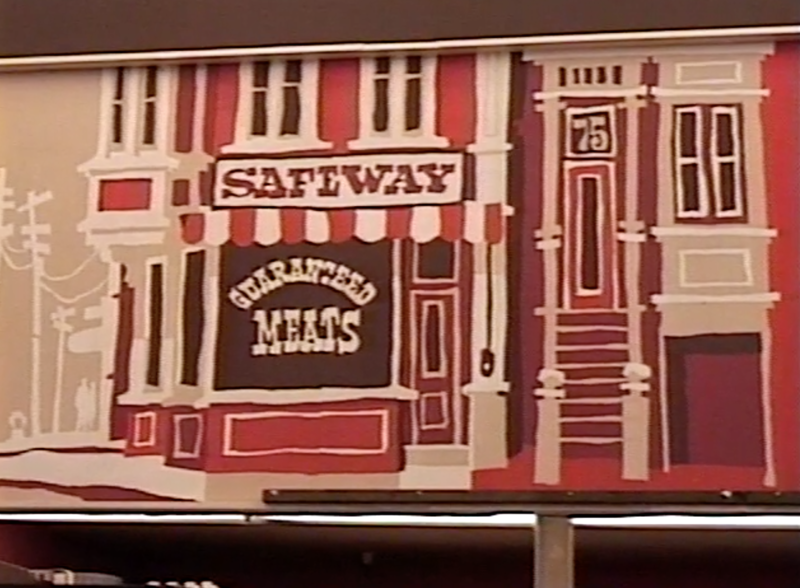 As ever, this is a site about the history, geography, architecture, and business of American and Canadian chain grocers over the past one hundred years or so. The current focus is more on the geographic and “commercial archaeology” aspects of chain grocers, specifically unearthing historical location patterns and building histories. That is, of course, why the places section is the one that has really grown in the past few years; rooting out old locations (and sometimes photographing them) is the focus of my research and it’s the part I really enjoy the most. The site now covers every Canadian province and all but five American states, and I hope to complete all fifty states by my twentieth anniversary in July. Presenting location histories is also the part that no one else is doing very intensively. Twenty years ago, there was not much on the web about chain grocery history. There’s a lot now, from photo sites to blogs to social media groups to very well-detailed (in most cases) Wikipedia entries. I like to think this site helped start that trend, and it’s not about competition. So I want to do the part I like and am doing best, which is locations and photos. I’ve been really neglectful of the photos in recent years and I’m working on rectifying that, getting my personal collection into shape so that it can be shared more easily and logically. Until then, I do post a lot of photos via the site’s Twitter feed (I hate Instagram) so if you don’t follow that, you’re missing stuff. The fact that there is so much great material on chain histories, photos, etc. is why I also plan to get better about providing links to these resources in a more systematic way. Right now, it’s pretty informal; I add links to pages when I think to do it and I tweet interesting sites I’ve found. I want to be better about adding them in more permanent ways. I also hope to do more super-targeted blog posts like the ones I’ve done recently on the history of A&P and Kroger in Greensboro and maybe on interesting aspects of defunct chains, etc. Finally, I plan to start adding more digitized versions of books and other archival material I have collected and to include links to other such material. Groceteria.com has never been (and most likely never will be) about independent and one-off grocers, rural stores, general stores, specialty stores, etc. It’s a site about urban chains. Period. I generally do not look at places with populations under about 10,000, and I primarily focus on cities or metros with more than 50,000 people. I also do not attempt to be the definitive resource for chain company histories, particularly with respect to currently operating chains. Others are doing a better job of that than I ever could (particularly via crowd-sourced and wiki-based systems) and what I plan to do going forward is to create more pages, perhaps with some of my own information, and link to external resources rather than try to write these histories myself. Again, as always, this is not, no will it ever be, a site about current supermarket operations. While I’m interested in this topic, this is not the forum; there are other places that are much better suited to that and I’ve always tried to be very careful (some might say “heavy handed”, particularly where the message board is concerned) about making sure that the site stays focused on history. This will continue. So how can you play along? The message board is not nearly as active as it once was, despite the fact that traffic is up everywhere else on the site. I take a lot of responsibility for that; there was a period of years when I was paying very little attention to it and to the rest of the site. I imagine I also alienated some users with an overactive moderation style in the past. I stand by the reasons for that, though I regret some of my tactics. For a time, I considered shutting it down and just making the archived content available; it was not being used and I was spending a lot of time deleting spam registrations. I’ve got a handle on that now, so I’m keeping it active, even though I think it’s maybe a little anachronistic at this point. So post away! I’ve also expanded the ability to comment on site pages. There was a technological reason for why I didn’t do that earlier, but now you can comment on blog post and on static pages. Please do! For now, I plan to continue using flickr to host and generate photo albums. I’ve never really been a big participant in the social media component of flickr, but feel free to dive in there as well, if you like. If you’d like to contribute location lists, photos, or other content, I’m all ears. Other readers, notably Andrew Turnbull, Wayne Henderson, and Andy San Juan have contributed material for which I am most grateful. Here’s my methodology for location research, if you’re interested.